Synopsis: Plaintiff was snowboarding down an open run and collided with a snow cat pulling a tiller when it made a sharp left turn into her path without signaling. She lost a leg and suffered serious facial lacerations and skull injuries. When plaintiff purchased a season pass at Mammoth, she signed a liability waiver and an acknowledgment that “the sport involves numerous risks including, but not limited to, the risks posed by variations in terrain and snow conditions, . . . unmarked obstacles . . . and collisions with natural and man-made objects, including snow making equipment, snowmobiles, and other over-show vehicles.” The vehicle itself was 30 feet long, 18 feet wide, and the tiller behind it was 20 feet long. They are equipped with warning beacon, light, and an audible alarm. 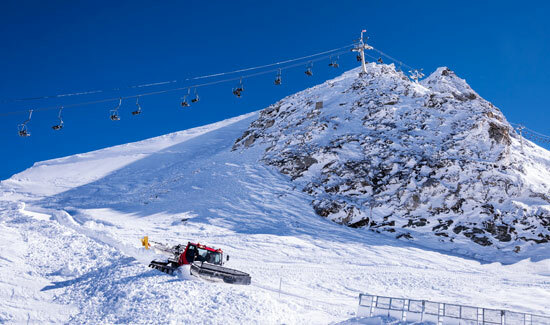 The court held that both the common law and the season pass agreement state that collisions with snow-grooming equipment is an inherent risk of skiing, and therefore participants in the sport assume that risk. Mammoth warned plaintiff of the presence of the snow cats and other grooming equipment on signs at the top and bottom of every lift, in the trail maps, on signs on the ski runs, and in the season-pass agreement.